I have been wanting to make video games for as long as I can remember. 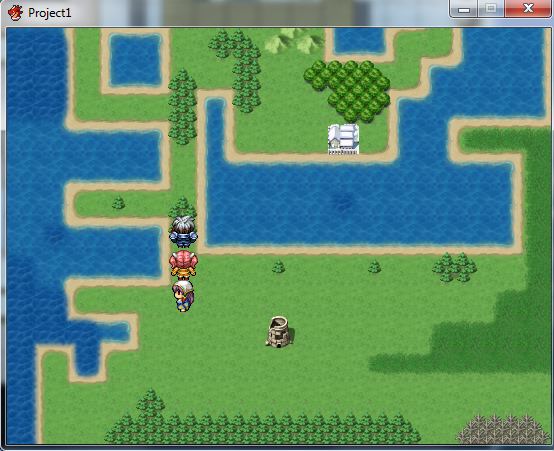 A couple of days ago, I rediscovered RPG Maker in Valve’s Steam store. I was thinking about it but decided against it some time ago. 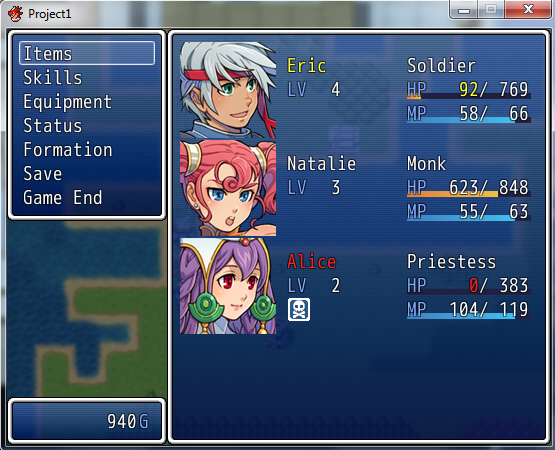 I learned they have been making steady upgrades to it and the latest release is RPG Maker VX Ace. Comparing the versions on their site, it looks ok.
Then I discovered that they have a free lite version. I promptly downloaded it and started playing around with it. As usual, I would get stuck and have to go look at whatever tutorials they have online, which is a lot. Youtube, RPG Maker forums, and a slew of other sites have tips, tricks and stuff. I decided to make my first game be simple. Then I made the simple error of posting what I am doing on Facebook and a friend expressed interest. I got back into working on my game, looking at tutorials, and stuff, I decided I need to make the game bigger. Then I hit a snag. It is too easy to bite off more than you can chew. I had expanded the map too big. Just filling it with map stuff would take time. The really long part would be filling it with encounters and stuff. I toned it down to around 50×50 map. I have limitations with the lite version so that should be ok. I might get it done as a simple, first game in a day or so and upload it for people to check out. Hmm. I am going to have to try this out. Now, those of you who know Toni Weisskopf are wondering why she was included in this series. She is not commonly known as an author. Because I could, that’s why. As a reader, Baen Publishing has been pretty important to my book habit for 15 years and going strong. 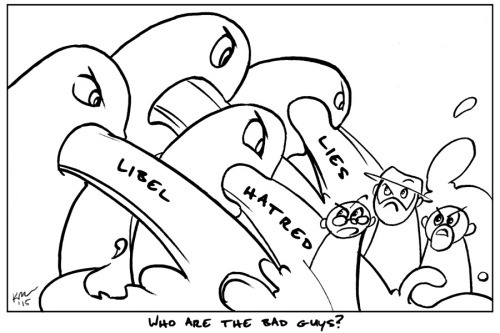 I think that Toni, as the Head Honcho over there, should absolutely be included in this. That, and I like her, she’s a nice lady, and one I look up to with a lot of respect. So I asked her for a recipe. And she gave me one. About a million years ago I was the political cartoonist for my college newspaper. Possibly I was not the best person for the job, because I’m not terribly political, nor fond of being controversial, but it was a fun gig while it lasted. Today I was moved to draw my first political cartoon in 15 years. I’ve been a silent bystander in the ongoing battle in the field of SF/F, a reader and a fan of John C Wright, Larry Correia, Sarah Hoyt, and (lately) Brad Torgersen. I’ve read the blogs regarding Sad Puppies since SP2 last year, but I did nothing, I said nothing. No more.